Horticulture runs I my blood. My mother was a farmer-gardener and it rubbed off on me and my siblings. 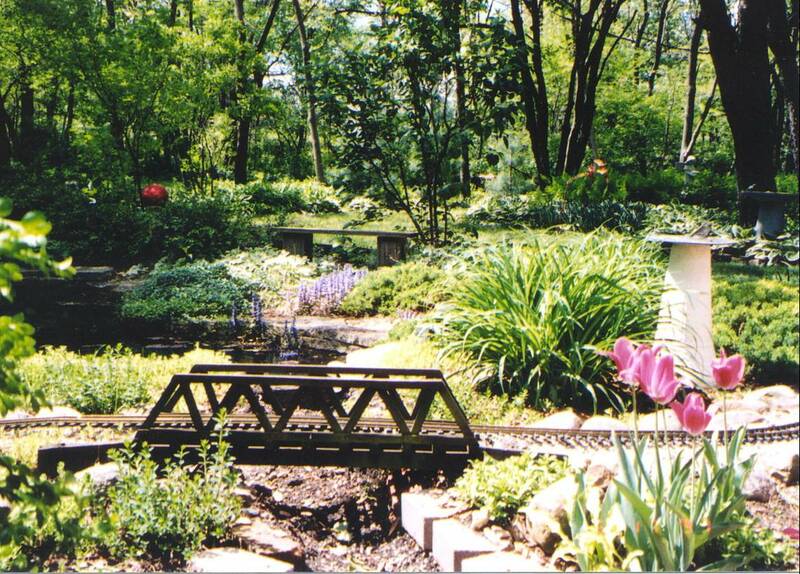 My wife Barb and I developed a beautiful garden in Frankfort. We opened it to garden walks five times in fifteen years. Each time we showed, the garden had a new feature. Once I retired, I took the classes to become a Master Gardener. I was tired of killing my plants without knowing what I did wrong. At least now I know. One feature of our garden was a pond. 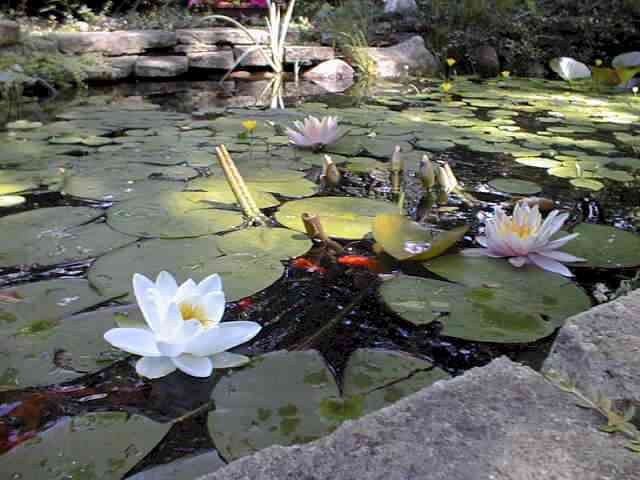 The pond developed over a five year period before it was mature enough to be called beautiful. I added a garden railway as an enhancement to the total garden experience. Our property was nearly an acre in size. It has many trees. The trees are beautiful, but present a challenge to grow colorful things in the shade. We learned to use plant materials with varying shades of green with different textures to give interest. Wherever there was spot of sun to allow a colorful flower to grow, Barb planted impatiens and begonias. The trees allowed me to develop a series of paths that wound around and into little nooks. The paths also served to give us shortcuts from one bed to another. The setting was truly magical. In 2001, shortly after I retired, Barb suffered a massive heart attack and survived. The next two years we spent enjoying the garden, but doing very little to develop it further. About two months before Barb died she gave me a vision for a new garden that she wanted in front of the house. She wanted a place to sit and meditate. We talked about it and sketched it out. We even purchased the bench for the sitting area. The summer after she died I decided to build the garden in her memory. It was huge project, but with some help I finished. I was anxious to see it develop into the vision she had for it. Two years after, the garden had just begun to fill in. In two more years it will be beautiful. I will never know, because I sold the house and moved to a different part of town. I have lived in this new location for two years, and am just starting the garden. The anchor is a pond with stream and waterfall in the backyard. My plan is to be on the garden walk in two years. You will see photos of the new garden in development on this page.